New technologies, especially in wireless communications, is helping increase VoIP services. As smartphones, laptops and tablets are being more available worldwide, VoIP services are also growing and the competition between different providers is leading to a constant update in their offers. The BYOD (Bring Your Own Device) policy that is spreading in companies is another key factor in this demand on VoIP. Devices like phablets (a mix between smartphones and tablets like the Galaxy S9+) are replacing computers on many aspects. The PMR (Persistence Market Research) expect the market to grow up to US$ 194.5 Billion in the next seven years. 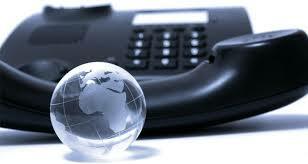 Most of this increase will be from long distance VoIP calls that could represent US$ 120 Billion in revenue.